If you have a cold, you can download our app and see a doctor without having to leave your home. You can get a face-to-face appointment on your smartphone, tablet or computer from 7am - 8pm, 7 days a week. 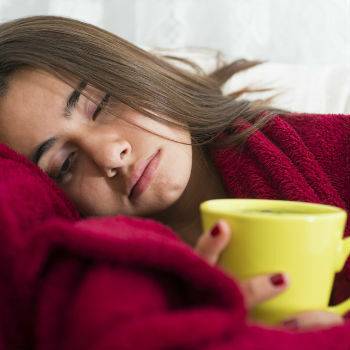 Our online doctors will help you recover from your cold as quickly as possible. There's no travelling, no waiting room and you can have your appointment at a time that suits you. Video chat with a UK GP right here on our site or in our app. See a doctor online How does it work? A cold is one of the most common viral infections. Most people will get a cold at least once a year and while it usually isn’t serious - it can feel awful. While there’s no cure, there are plenty of treatments that can help you cope with the symptoms and you’ll usually start feeling better within a week. In the early stages, the flu can feel similar to a cold, with each causing a runny nose and sore throat. However, while a cold tends to build up gradually, flu tends to hit quite suddenly. Most of us know what a cold feels like, but if you can't seem to get rid of yours, it's worth seeing a doctor to check on your symptoms. 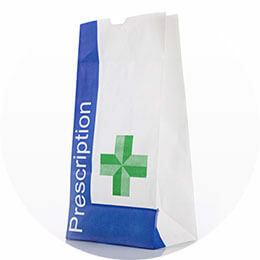 Treatment of a cold is difficult as antibiotics do not work. The best remedy is to stay hydrated and rest yourself. You can also try some other home remedies to help soothe your symptoms and make you feel better. If conditions persist or get worse seek the advice of one of our GPs at Push Doctor. During this period, you’ll begin to notice a cold coming on. You’ll start to feel generally unwell, sometimes with a ‘fuzzy’ feeling in your head and will start experiencing a blocked and runny nose. Many people will also develop a cough during this period. You should start feeling better within a week, although it may take children a little more time to recover. However, if you’ve got a cough - this can take a few weeks to go away. 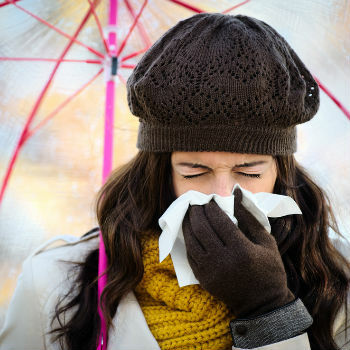 Can being physically active prevent colds? 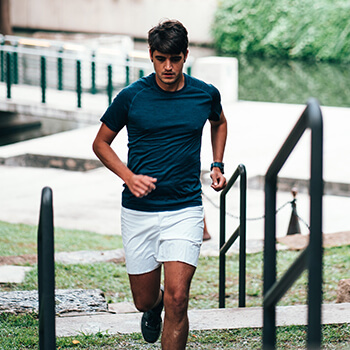 Physical activity is beneficial for your overall level of health, improving cardiovascular health, lowering blood pressure, helping to control body weight and protecting against multiple diseases. In addition, Harvard Medical School report that exercise helps to strengthen the immune system, equipping your body to effectively fight off infections reducing the risk of coughs and colds. They go on to say that it may contribute more directly through promoting good circulation, meaning that the cells and substances of the immune system can move through the body easily and perform the various jobs they need to. Currently, research is being performed to find out whether exercise has a direct influence on an individual’s susceptibility to infection. However, even though there is currently no direct link that has been established, it’s reasonable to consider regular moderate-intensity activity to be a beneficial aspect of healthy living, an important means for maintaining a healthy immune system, along with the rest of your body. Moderate activity can be described as activity that will raise your heart rate causing you to breathe faster and feel warmer. To gauge this, you should be able to hold a conversation, but unable to sing the words to a song. Typical examples of moderate activity include brisk walking, hiking, and yoga. You are generally safe to exercise when you have a cold, however, it’s important to be sensible and listen to what your body is telling you. It may not be the best idea to try and break any records or personal bests, but you shouldn’t necessarily stop working out completely. A good idea is to try some moderate-intensity activity first to see how you feel before increasing the intensity.